The Kentucky Horse Park is celebrating its 40th year anniversary! The park, which opened in 1978, is a horse lover's theme park, playing host to 140 horses at any given time and sometimes more. 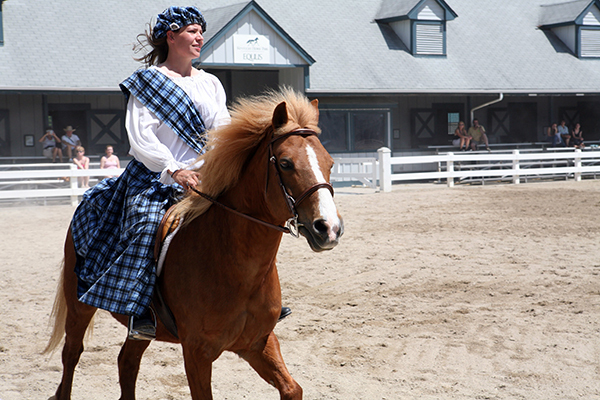 This working horse farm has a twice daily Parade of Breeds Show, showcasing horse breeds from around the world and welcomes travelers to learn about horses. We've visited the Kentucky Horse Park a number of tmes over the years. From the rare Marwari to the fabulous Friesian, spectacular horses at the Parade of Breeds Show. Special events to celebrate the 40th include an unveiling of a sculpture of the military horse Sergeant Reckless on May 12 at 1 p.m. Other events as part of the celebration are a Kentucky Derby and Horse Park tour which includes lunch and travel and a 5K/10K where participants will receive a commemorative t-shirt. The Kentucky Derby and Horse Park tour is every Thursday from now until May 3 and the 5K is on July 21. 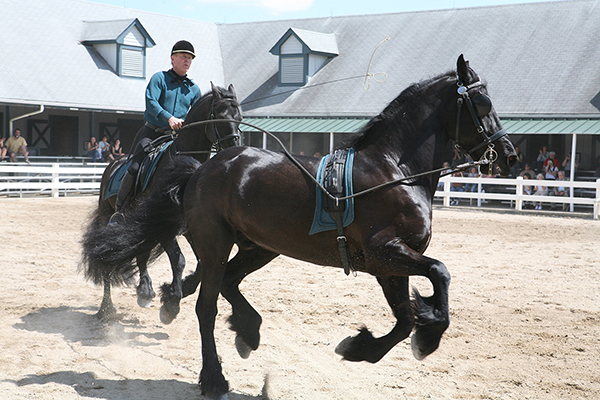 Every Parade of Breeds Show lets guests take photos and pet the equine performers..